Chris Brown wrote: Looks like I was right about the USB ports. I see no logical reason to have them at all. You are not going to get a full charge like you would get if you charged your device overnight. They will likely end up being a low priority maintenance item when cars are needed to make up trains to fill the daily time sheet. That why I prefaced my post with "I find this somewhat puzzling." You all know my thought on the subject of fleet size. No, you were not "right". You expressed your opinion in favor of them. Many people expressed their opinion not in favor of them. Just because metro elected to install them does not mean your opinion or mine was right or wrong, because they're opinions. My opinion is still that they're stupid, and for all the same reasons I have already expressed and will not be retyping for you. Your opinion is still that they're not stupid, and you're entitled to that opinion too. No need to argue. It doesn’t matter who guessed right, does it? Besides, they’ll be stuffed with chewing gum soon enough. Today, September 4, 2018, Metro officially announced that it was beginning its procurement of 8000-series railcars. I received a 'sneak preview' of the announcement with this URL via my membership in the "Amplify" community. The 8000 series will replace the 2000/3000 series cars which are 35 years old. They were rebuilt about 15 years ago. Metro does not need until they are 40 years old to retire them, the mistake they did the 1000 series which should have retired many years sooner. Kawsaki may not be making the 7000 series. It depends who Metro awards the contract too. Question: If WMATA wants to ditch the 6ks early, would they have to prove to the FTA that it would be cheaper to buy news cars instead of rehabbing old ones? I don't see any production work on 8000s being done until the early 2020s, so even with the current 7k problems, that probably wouldn't happen (and we don't know if Kawasaki will even get the contract). D40LF wrote: Question: If WMATA wants to ditch the 6ks early, would they have to prove to the FTA that it would be cheaper to buy news cars instead of rehabbing old ones? WMATA would need to prove the 6000s are a) impractical to overhaul due to lack of potential suppliers b) inherently unsafe like the 1000s c) obsolete d) equally or less cost-effective to rebuild than to buy new. I bet they could find a way to prove one of those points if they wanted, but no matter their proofs, the FTA might overrule them & make them invest in the physical plant instead. Options in the contract would allow Metro to purchase “up to” 800 cars in all, giving the transit agency the flexibility to support a range of initiatives and scenarios, including expanding all trains to the maximum 8-car length, running trains more frequently during rush hours, and retiring the 6000-series fleet in lieu of a midlife overhaul program. So, Metro may consider a early retirement of the 6000 series as well. 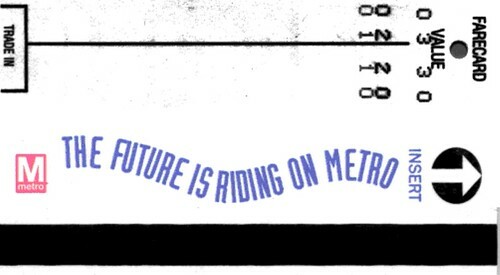 Whatever, Metro decides we'll have the 7000 and 8000 series cars in service for the next 40 years. How are the 7K and 8K cars improved over the "reliable" 6K model. Other than aesthetics. New is always better; ask any car salesman.